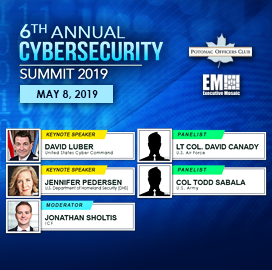 David Luber, executive director of the United States Cyber Command, will be featured as the keynote speaker during the Potomac Officers Club’s 2019 Cybersecurity Summit on May 8th. At the event GovCon leaders from the public and private sector will discuss cyber resiliency and how to collaborate effectively on new cyber programs, initiatives and emerging technologies in the federal market. Luber leads more than 12,000 employees including six large service cyber components, Department of Defense enterprise defense forces and 133 cyber mission force teams consisting of over 6,000 cyber experts. He also drives global cyber operations to defend the DoD network, defends U.S. critical infrastructure, shapes a budget of nearly $700 million and provides cyber options for combatant commanders. During his career, Luber held a range of leadership and technical positions. He provided creative solutions to automate NSA business processes for a decade. 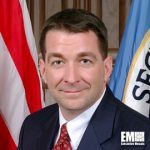 In addition, he maximized collaboration throughout the NSA and the intelligence community, developed new tactics to enhance computer network operations supporting NSA and leveraged partnerships to produce integrate intelligence critical to warfare supporting national missions. Luber graduated with a bachelor’s degree in Computer and information science from the University of Maryland, University College and a master’s degree in network security from Capitol College in 2004. He received numerous awards including the Office of the Secretary of Defense Exceptional Civilian Service Medal in 2015, Presidential Meritorious Rank Award in 2012, the Meritorious Civilian Service Award in 2004 and 2008 and the Knowlton Award in 1999.